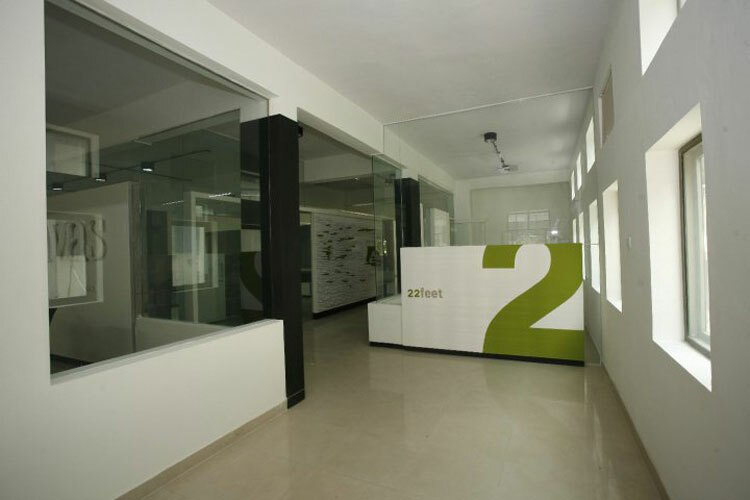 22feet is an ‘independent digital agency’ specializing in web and mobile designing, advertising & marketing. Their philosophy is to go by their “gut instinct” in everything they do. 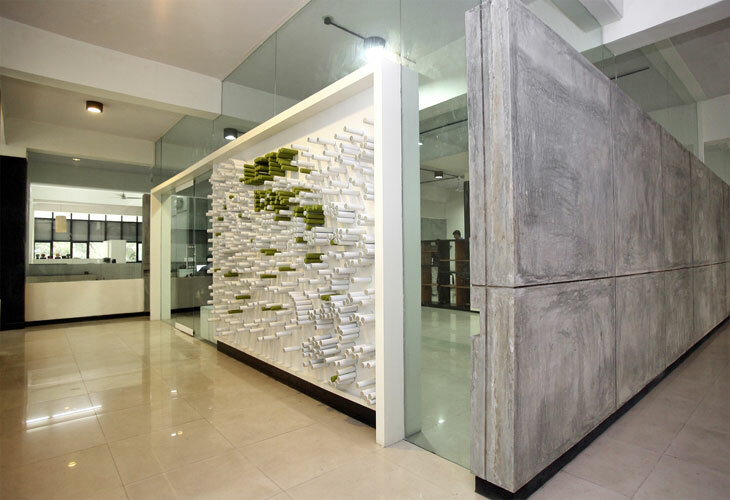 The brief was to create an office space with areas for work and play.The challenge was to strike a balance in both and yet reflect their philosophy. 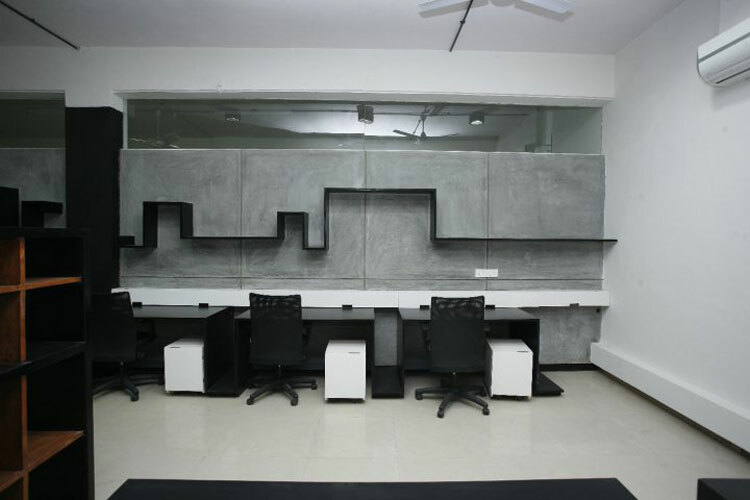 A closed area,22-foot long, was the ‘ideating centre’, processing ideas, just like the gut which became the main work area. The design also had to be low maintenance. IPS finished grey walls that stopped short of the ceiling brought in much light. 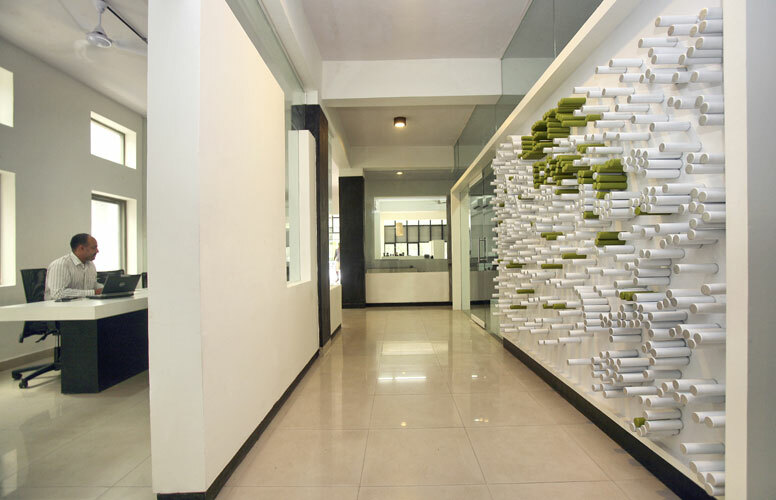 The cascading shelves and the work tables in complementing black, were inspired by the idea of the coiling ‘gut’. 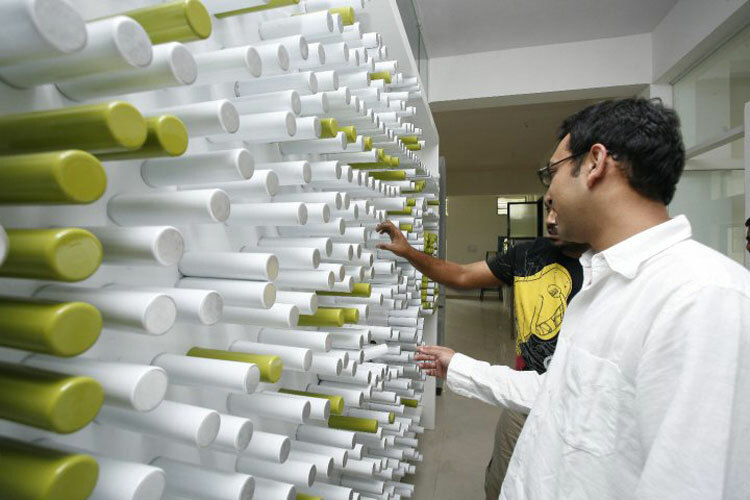 Each team member got a ‘white cube on wheels’ which also served as a lockable storage. A discussion area was created with storage cabinets. 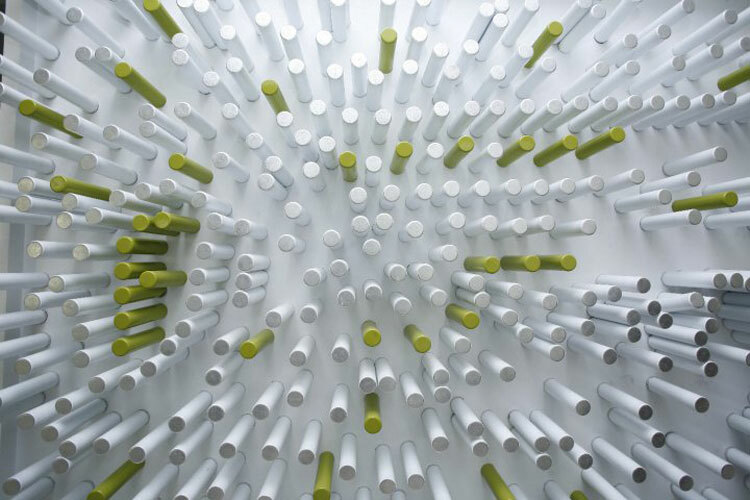 Located in an industrial layout,a can manufacturing plant as their neighbour, inspired the Can Wall in the play area. 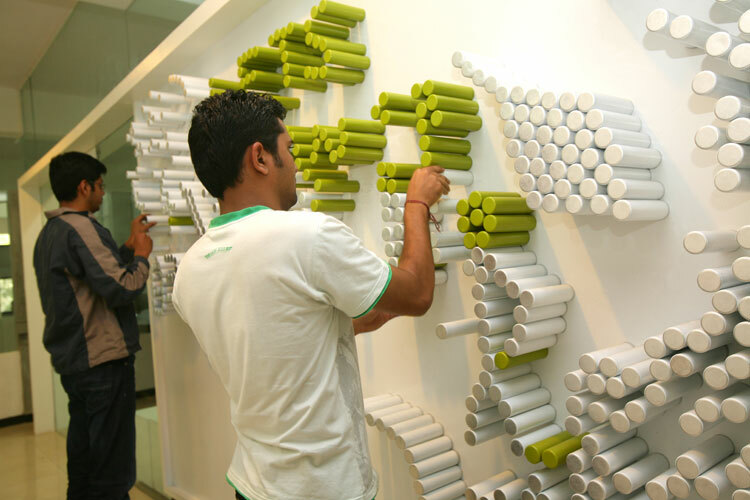 The green & white interactive wall of the office has deodorant cans that can form compositions left to the team imagination. 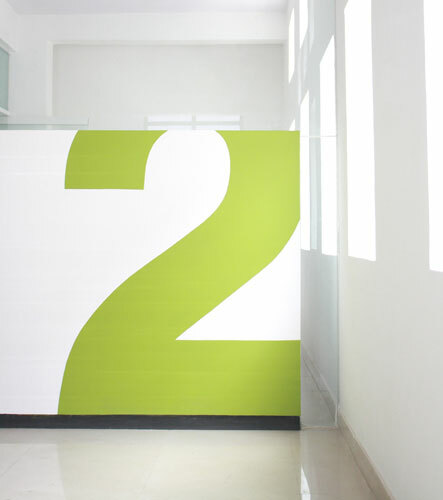 Held to the metallic white wall using concealed magnets, this, and the grey walls along with a hint of green are inspired by the agency logo colors.